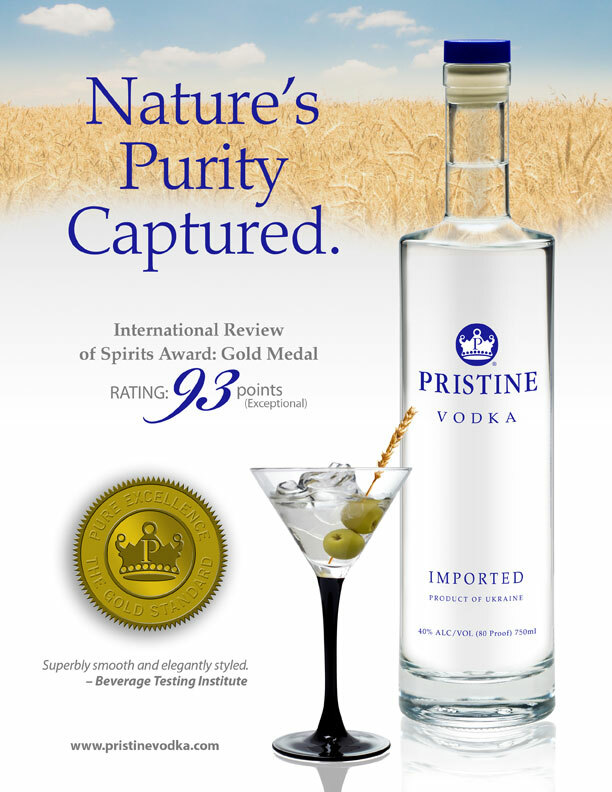 Award-winning Pristine Vodka was recognized by Robb Report as a top-shelf vodka to be featured as one of its ‘Splendid Spirits’ in the July 2011 issue. On July 1st, the ultra premium vodka will appear in Robb Report’s online pages, and the print issue will be available in stores. Produced and bottled in Ukraine, this elegant wheat-based vodka is made with pure, icy water from the Carpathian Mountains. It is described as having a sweet, floral, yet peppery flavor profile with a river-stone-smooth texture. Comparable in quality and price to other top-shelf vodkas, Robb Report’s endorsement of Pristine Vodka underscores its respected place in the spirits ranks and its recognition as nothing short of superb. The suggested retail price for a 750 ml bottle is $27. In business since 1999, this importing company began its endeavor with Pristine Vodka in 2005, and the first bottle appeared on United States shelves in 2009. Owned by Alexander Bratslavsky, an emigrant to the US from Ukraine in 1990, Pristine Vodka’s full profile can be found on the website at www.pristinevodka.com.